Tax Hikes Now? No. Tax Hikes Later? Yes. President Obama this week did exactly what he promised to do last week: He proposed a way to pay for his jobs bill. In particular, he suggested raising taxes on the wealthy and then using the money to offset the cost of school building, payroll tax breaks, and other expenditures designed to boost the economy. He also invited the congressional super-committee to come up with alternatives, as long as they generate the same amount in combined savings and revenue. 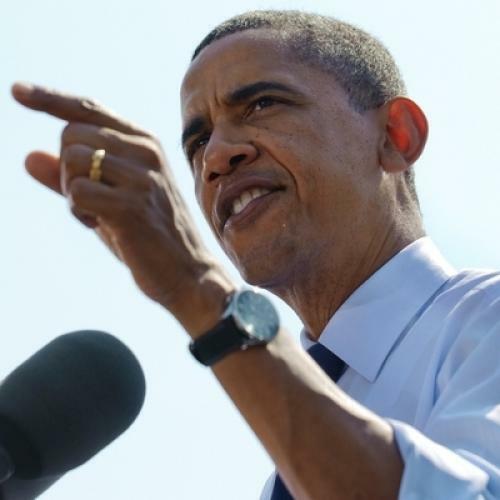 Republicans were quick to pounce: Obama wants to raise taxes! Instead of saving the economy, he's going to kill it! And even less hyperbolic commentators from the right were unhappy. Here, for example, is Megan McArdle, who has actually said some charitable things about Obama's proposal. "Paying for the bill with tax hikes--any tax hikes--is going to substantially reduce the stimulus this bill provides." Do they have a case? Most economists would agree that raising taxes right now would slow the economy. But let's be clear: That's not what the administration is proposing. As Budget Director Jack Lew confirmed in yesterday's White House press briefing, the tax increases wouldn't take effect until January 2013 -- i.e., sixteen months from now. That's a significant difference. Now, a key question is whether starting to increase taxes in January, 2013, would qualify as "later in the decade." There may be a good argument for waiting at least another year, and starting those tax increases in January 2014, just to give the economy some more room to grow. That's quite possibly what the smarter critics (like McArdle) have in mind. But I suspect most economists would consider the difference to be modest, particularly given the overall scale. Remember, the administration is talking about spreading the tax increases over the course of ten years, or close to it, so the impact in any one year would be small. By contrast, the vast majority of stimulus spending and tax breaks would go out in that first year -- i.e., it'd be a lot bigger. Unless I'm missing something, the tax increases would have a small negative effect.